After testifying Tuesday at the Special Tribunal for Lebanon about Syria’s hegemony over Lebanon and revealed some the factors that led to the assassination of former Prime Minister Rafik Hariri in 2005, MP Marwan Hamadeh resumed on Wednesday his testimony before STL , focusing on the pressure that Syrian president Bashar al Assad exerted on the Lebanese leaders and specially Hariri to amend the constitution in order to renew the term of his ally former president Emile Lahoud. 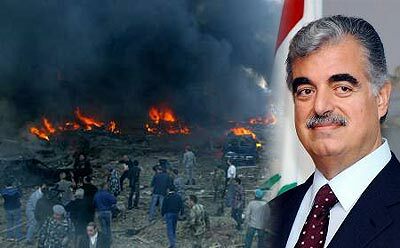 Hamadeh testified that he met in August 2004 with Hariri at the residence of Progressive Socialist Party chief Walid Jumblatt in Beirut’s Clemenceau immediately after the former PM returned to Lebanon from talks with Assad in Damascus. Hamadeh testified that Jumblatt advised Hariri to avoid confrontation and respond positively to Assad’s threat and vote for the extension of Lahoud’s term, and then quit from the cabinet and leave Lebanon to preserve his dignity. Hamadeh testified that Hariri believed relations with Syria should be corrected and that required the election of a new president and not a head of state who is completely submissive to the Syrian will. “Everyone in the cabinet knew that Hariri had come under pressure by Assad. During the 10-minute cabinet session there was total silence by all the supporters of the Syrian regime who wanted the constitutional amendment in order to renew Lahoud’s term. He then addressed the issue of UN resolution 1559 and its implications on the Syrian regime and Hezbollah. “The international community sensed that Syria was pressuring Lebanese state institutions, instead of easing its grip on the country, in the buildup to the adoption of resolution 1559. Hamadeh stressed that 1559 was basically the same as the Taef accord and was in fact meant to implement what the Taef didn’t . “Resolution 1559, regardless of its interpretation by various forces in Lebanon, is identical to the Taef Accord and National Pact.” he said and stressed that Lebanese officials sought to implement the resolution through negotiations, mainly over Hezbollah’s disarmament, but the Pro-Syria media and officials in Lebanon waged a major campaign against resolution 1559. He told the court that Hariri and Jumblatt sought to persuade international powers that Hezbollah can be disarmed through dialogue. They pressed for this stance in order to thwart foreign meddling in Lebanon. “I believe that Hariri voted for the extension of Lahoud’s term in order to avoid disputes and tensions in Lebanon. He was probably secretly counting on creating a change in the upcoming parliamentary polls.” He said , on the other hand Jumblatt voted against the amendment and extending Lahoud’s term and spoke during the parliamentary session why he opposed the extension. Hamadeh said that vote on the extension helped Hariri and his allies determine the number of MPs that actually opposed the extension.. He said after that some of these MPS were assassinated . United Nations Security Council resolution 1559 was adopted on 2 September 2004. The Council supported free and fair presidential elections in Lebanon and called upon Lebanon to establish its sovereignty over all of its land and called upon “foreign forces” to withdraw from Lebanon and to cease intervening in the internal politics of Lebanon. The resolution also called on all Lebanese and non-Lebanese militias to disband and declared support for a “free and fair electoral process”. The resolution was sponsored by France and the United State. Well, there’s the challenge, Folks … out in the open … It IS ASSad’s War. I am sure his pea-brain thinks all Lebanese should have been helping him become the Despot he desired to be, and was, until ‘the folks’ asked for more say in what was in their porridge. Now he’s King of the Rubble … but still screwing around. Not that having a gang or two of Pea-Brained ‘Caliphatism’ types rambling around is helping anything … except the despot of course … with their Tribal Religiousism whacking at anyone who isn’t kissing their asses for the ‘POWER’ they all want to have over the rest of the dying humans. And it took SOME idiots a long time to figure out an invitation to his Palace Lunches wasn’t worth it. RIGHT NASTY?? Were the sweetmeats THAT good? At least Jumby was allowed to drink the wine, back before he sort of figured it out and got uninvited. What goes round comes round. Bashar el-hmar. It’s time to help the Syrian Christians forget Hariri the Saudi.